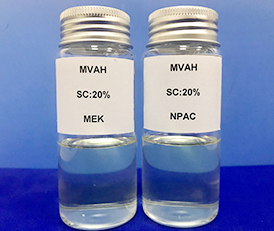 New grade MVAH: It is white powder、ester soluble with colorless and transparent solution,and it has with excellent solvent release、film-forming、dispersibility、color contrast property and wettability,moreover, it has excellent dispersibility in pigment and has very good adhesive force on PET,which can completely replace Solbin A grade of Nissin and T5HX grade of Kaneka etc. 9 Average Molecular Wt About 27000 Calculated by the Viscosity No. 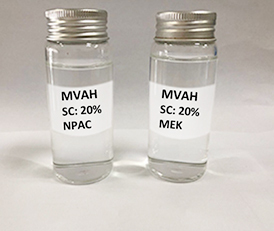 MVAH new grade is mainly used for application gravure plastics composite printing inks、PU inks、can sealed coatings、plastic coatings、magnetic tape and carbon tape adhesive、car refinishing paint etc. * In kraft bag, lined with pp bags of 25kgs net, with PE inner bag. * Store in a dry and ventilated place, do not place in open-air, avoid storage in direct sunlight and caution against wet. * Must be transported in clean vehicle with awning and keep away from moisture. * It is NOT hazardous article, and the shelf life is one year from the production date. How about vinly resin made in China? Different brands of vinyl resin prices are different.